British Airways has announced that it will be flying new 5 weekly flights to HYD-Hyderabad, India effective October 27th 2008. All flights will be flown using a Boeing 777-200ER nonstop from Heathrow. An excellent strategic move by BA to gain a strong foothold in this niche market segment before others start flying there. They will have a lucurative monopoly on this sector as no other airline flies to HYD nonstop from LHR. Currently, only LH & KLM offer nonstop flights from Europe to HYD but with BA's B 772ERs having a superior in-flight product in all cabin classes compared to LHs A 343s & KLs MD 11s, one can expect them to take a decent chunk of the HYD-UK & HYD-USA/YYZ market share away from KLM & LH. BOM - increased from 4 weekly to 10 weekly flights i.e. 3 weekly terminators HKG-BOM-HKG using a 2 class A 333 + 4 weekly HKG-BKK-BOM-DXB using a 2 class B 773A + 3 weekly HKG-BOM-DXB using a 2 class B 773A. CX will now fly BOM-DXB-BOM daily with full 5th freedom traffic rights using a 2 class 410 seater B 773A. This flight increase comes into effect from 31st March. DEL - increased from 4 weekly to double daily A 333s effective 30th March. BLR - new daily nonstop service using an A 333 of Dragonair effective 1st May. MAA - new 4 weekly nonstop service using an A 333 effective 1st June. Many of you upon reading this might be thinking why is CX sending KA aircraft to fly the all important HKG-BLR route when it could have instead used KA's A 333 dedicated for BLR for the second daily DEL flight. One should not underestimate the business acumen of CX's management board as they are astute students of the game. FYI, KA's new J class product on board its A 333s seats 30 having a seat pitch of 63 inches and a seat width of 27 inches. Yes 27 inches which means that its J class seats are wider than most airlines first class seats! All of CX's new flights to India connect very well in both directions with their Japan, China, LAX, SFO, YVR and TPE flights in both directions which is essential for the routes to be profitable. Another very important element which AI, 9W, EK, IT & IC have to worry about is that CX will be flying daily the high density BOM-DXB-BOM route with a 2 class 410 seater B 777-300A. By using such a big aircraft (capacity & cargo wise) for this key route, it will definitely give few headaches to the above mentioned airlines for market share control purposes. Thai Airways's President has officially told the media yesterday that his airline has finalized a deal to introduce 2 new aircraft types into its fleet. TG will be leasing 14 Boeing 787-800s + 20 new Airbus A 321-200s which will be used to replace its entire fleet of Boeing 737-400s and Airbus A 300-600Rs from 2012 onwards. The B 788s will be delivered to the airline from 2012 onwards and many insiders indicate that these planes are coming from ILFC. Gulf Air has signed a MOU (Memorandum Of Understanding) with Boeing over the weekend for the purchase of 24 Boeing 787-800s + with Airbus for 8 A 320s. With regards to the Boeing order, 16 are firm orders whilst 8 are options. Boeing has informed GF that first delivery will be in 2016. However, GF is talking to leasing companies such as ALAFCO of Kuwait to lease out their fleet of B 788s from 2010-11 onwards until theirs are delivered from Boeing. Finally the much hyped order by GF is revealed to the public. Its a good move to stick to one airplane type for premium medium/long haul flights i.e. B 787 and one for short haul regional flights i.e. A 320 as that keeps operational and maintainance costs down. However, what most people cannot phantom is why the B 789 wasnt ordered as you cannot replace a 3 class 270 seater A 343 with a 200 seater B 788! The answer to that is simple. BAH-Bahrain is a city that sees very little O&D traffic volume from all over the world unlike its neighbours such as AUH, DXB, RUH & JED. Hence, since GF's flights will be filled by 95% 6th freedom / transit traffic, it only makes sense to be safe by ordering medium sized aircraft rather than take the risky ambitious route by ordering 300 seater planes just for prestige purposes. Yes only a handful of GF's B 788s will see a 3 class layout i.e. approximately 6 aircraft used for LHR/CDG/BOM/FRA/JED flights where as the remaining ones would be configured to accomodate 230 pax in a 2 class layout for high density Indian subcontinent & Far East flights. GF's business model has now changed where by they are focusing on increasing frequencies to key markets such as SYZ, MHD, LHR, BOM etc rather than increase capacity. In this way, by offering more frequencies to key markets, it hopes to attract the business traveller i.e. high yielding pax more often than not. Kingfisher Airlines is looking to firm up the options it had on 5 additional A 380s which would then increase its order to 15 aircraft. One of the main reasons for converting the options into confirmed orders is the fact that the cost of the aircraft would work out cheaper than its current selling price since the options are now around two years old. The only logic one can derive from this massive A 380 order is that KF plans to take advantage of the extra passenger capacity available on board i.e. 500+ seats and offer very cheap fares in Economy class but charge a hefty premium for F & J class to subsidize the low yielding Y class fares. KF should look into a EU/UK base for its A 380s to fly via enroute to USA similar to the style of 9W's BRU scissors hub as it would be very hard to fill up flights flown nonstop from BOM/DEL to JFK/ORD on a year round basis. Air Canada will be adjusting capacity on its most popular European route i.e. Toronto-Heathrow by flying 4 times daily instead of 5. However, the aircraft used will compensate for the one less daily flight i.e. 2 daily B 773ERs + 2 daily B 763ERs will be flown. In addition, Montreal-Frankfurt too sees an upgrade in capacity as the usual daily A 333 will be replaced by a daily B 773ER. Singapore Airlines has announced that due to high yield being witnessed on its Bangalore-BLR bound flights, it will be increasing capacity on the route by flying 10 weekly B 773As from July 2008 replacing the B 772A used currently for this sector. The B 773As to be used for BLR will be a 3 class configured aircraft. Phillppine Airlines has applied to the Canadian Authorities to start 3 weekly flights from Manila to San Diego routed via Vancouver with full 5th freedom traffic flights on the YVR-SDA-YVR route. 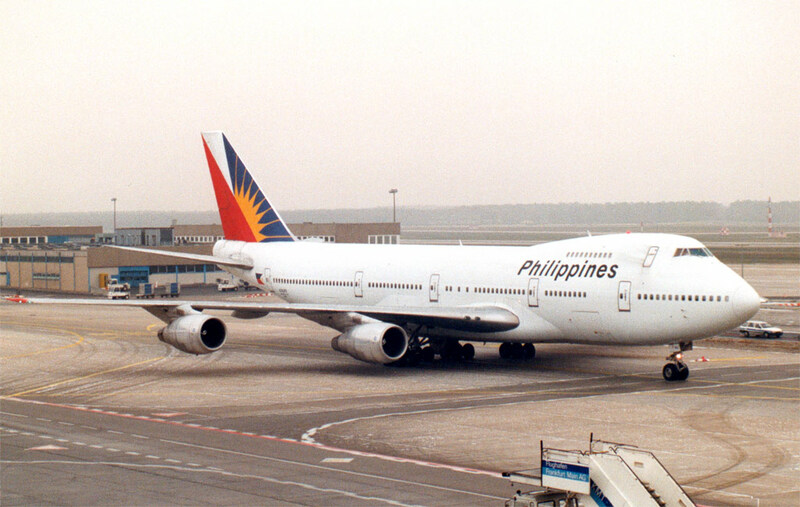 PR plans to use an A 343 for this service and is targetting SDA due to the extremely large Filipino community that resides in the city and within its limits. JED - increased from 3 to 8 weekly flights all using a B 744. HKG - daily B 738 service is replaced by 5 weekly A 333 from CGK. NGO - resumption of service using an A 333 thrice a week nonstop from CGK.